Here is the latest on Francis Ford Coppola's lawsuit against Warner Bros. regarding "Pinocchio" which on Tuesday involved the testimony of Brian Henson. Things got personal Tuesday in Francis Ford Coppola's suit against Warner Bros., but it's a question mark how much of that personal info will ever be heard by the jury. Out of the presence of the jury, Brian Henson, who was scheduled to be a producer on the WB version of "Pinocchio," said the story had a special meaning for him and for Coppola. For Brian Henson, it was the story of a boy who loses his father; for Coppola, the story of a father who loses a son. Those close to the case had said the death of Coppola's son was at the heart of his attachment to the project, but that information has been kept from the jury, presumably on grounds of relevance. L.A. Superior Court Judge Madelaine Flier will rule later on whether or not the jury will ever hear this part of Brian Henson's testimony. On the stands Tuesday, Brian Henson testified that he, like Coppola, was to be a producer on the project, which never got made at Warners. 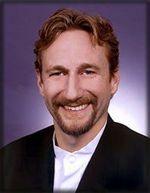 Brian Henson went on to work on the 1996 version of "Pinocchio" distributed by New Line, without interference from Warners. Coppola's key legal claim is that Warners improperly interfered with his later attempt to make a "Pinocchio" picture at Columbia. Coppola's attorneys presumably hoped that Brian Henson's testimony would indicate that WB had a personal vendetta against Coppola. However, WB attorney J. Larson Jaenicke brought out that Brian Henson's involvement in the New Line version was not as a producer but simply as the puppet maker. Stay tuned for any updates released in this case that involve Brian Henson and/or The Jim Henson Company.